Keswick Mountain Rescue Team said, if his cries for help had not been heard, the outcome could have been much worse. The team was called out shortly before 7.30am on Friday after the runner reported hearing shouts for help in the Cat Gill area of Walla Crag. 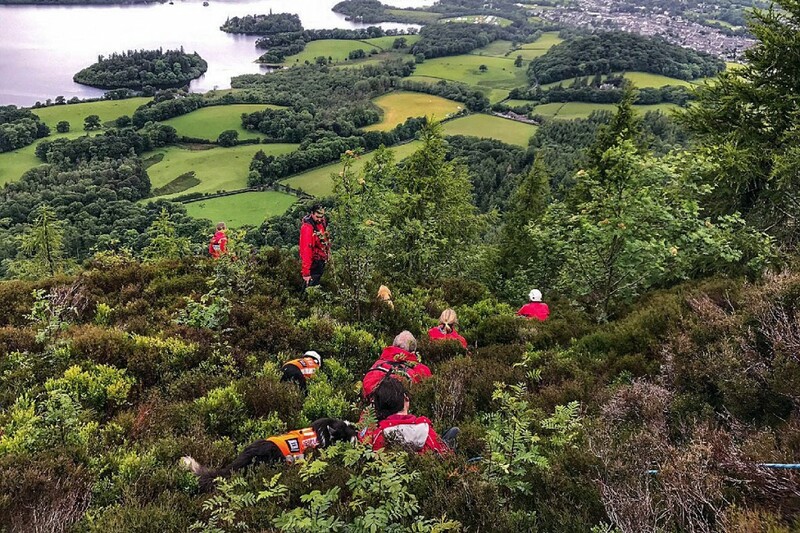 A team spokesperson said: “The team mobilised with three search dogs and proceeded to search the area, but it took nearly 45 minutes before they located a male stuck in the steep ground below Walla Crag. “He was unhurt, but had been there all night in wet and cold conditions, in lightweight clothing. “The circumstances that led to him being there were very unclear. The team evacuated him by rigging a rope to the path above, using team members to belay him up the slope. “They then transferred him to a team Land Rover above Rakefoot Farm, and gave him a lift home to his address in Keswick. The 2¾-hour rescue involved 16 volunteers from Keswick MRT.